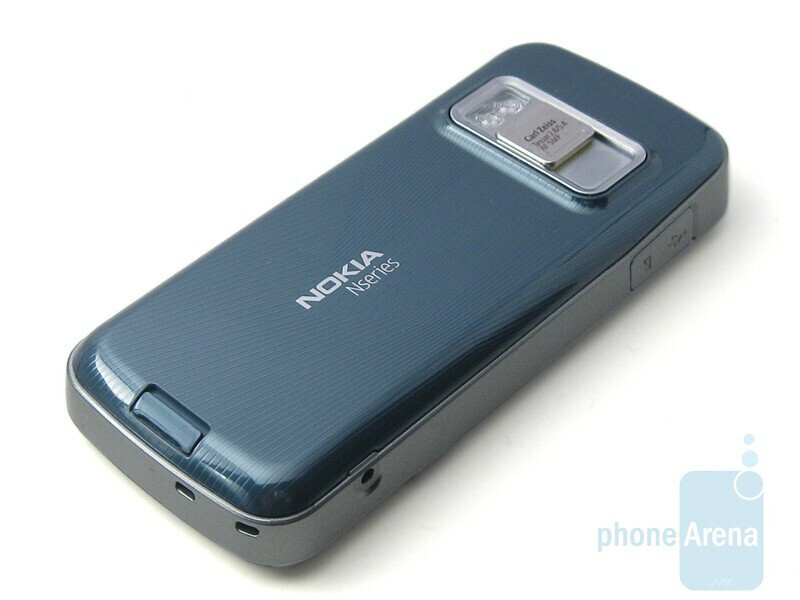 The Nokia N79 is another featured packed device in Nokia’s N-Range branded handsets. At a glace physically, there won’t appear to be much difference between this device to say the Nokia N78 or even the older N73. 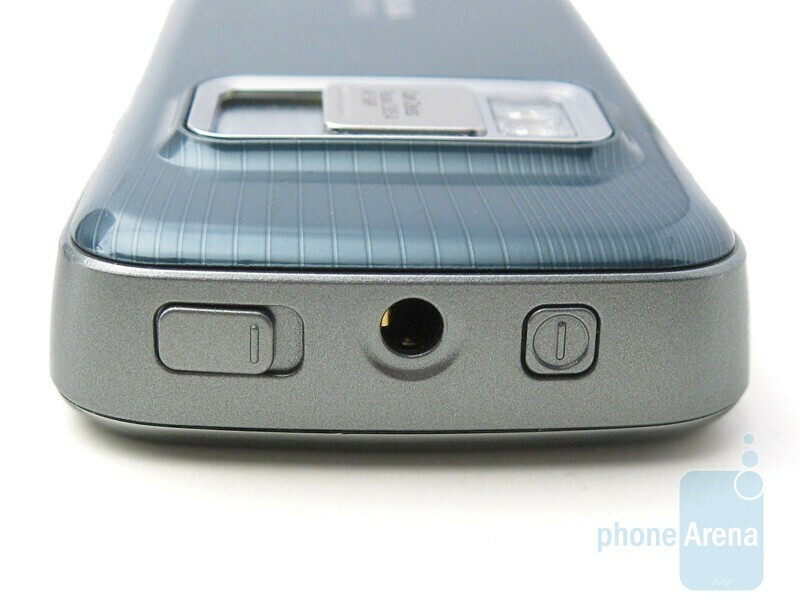 However, when you examine the N79 more thoroughly, you will notice some enhancements both in looks and personality. The N79 that we received from Nokia came with some of the normal boxed contents that you get with the N-Range series: A Nokia Travel Charger (AC-5), A USB Connectivity cable (CA-101), Nokia Music Headset (HS-45, AD-54) CD with Nokia PC Suite software and the User Guide. 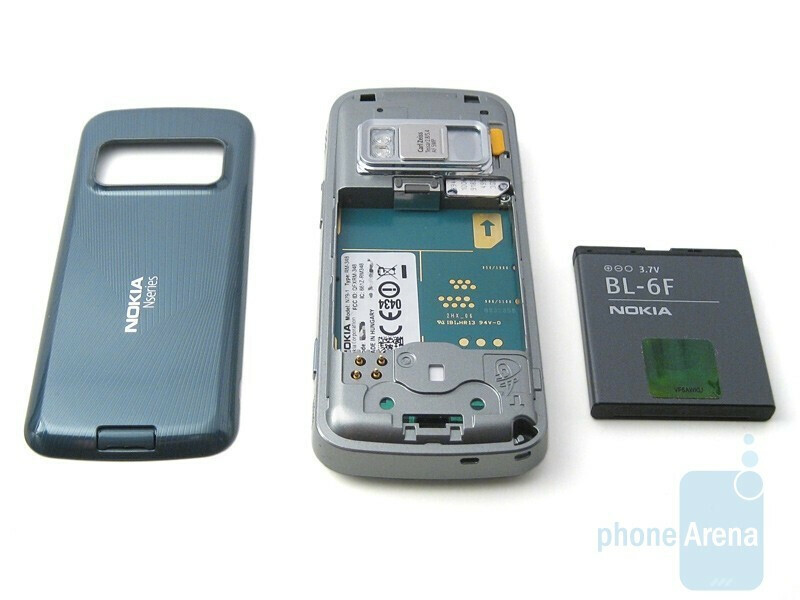 In addition, the handset came with a 4GB microSD card (MU-41) as well as two extra Nokia N79 Xpress-on smart covers to modify the look of the N79. 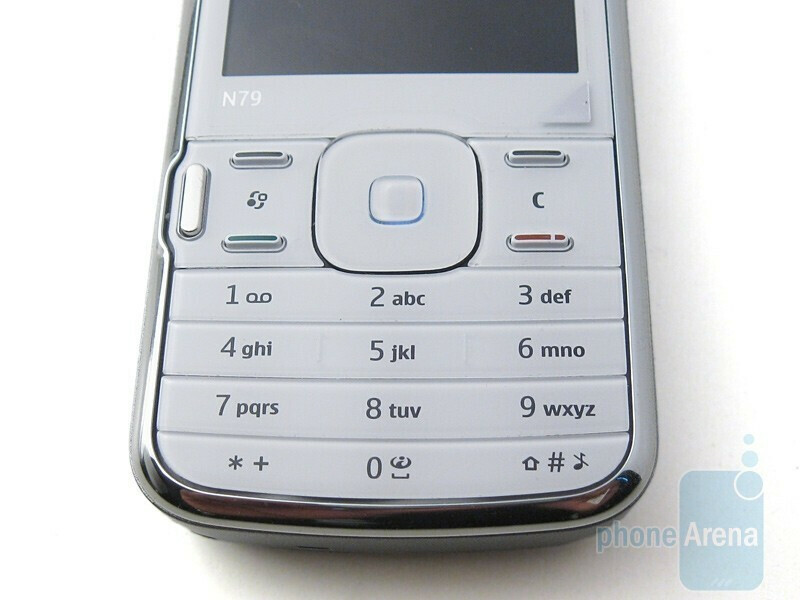 The first thing we noticed about the N79 itself was the colour! 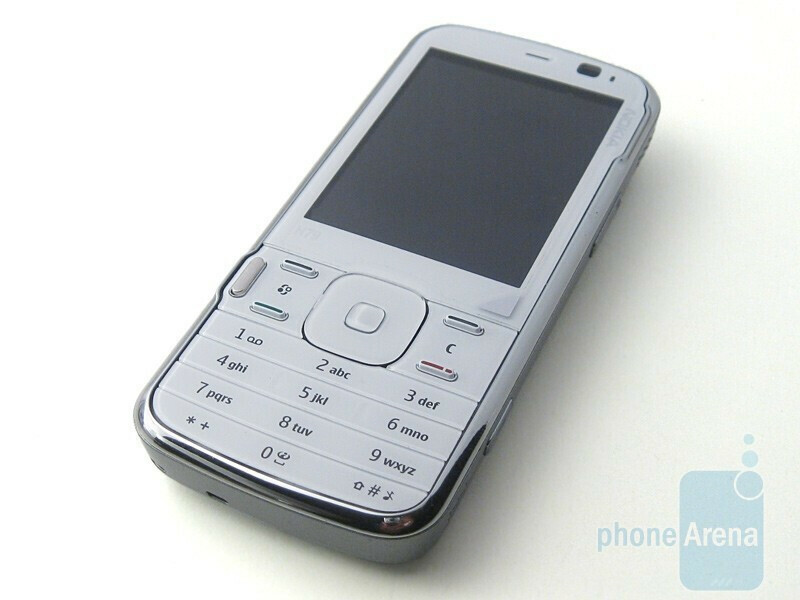 Looking at the handset from the front, the device has a white plastic front with a chrome trimmed finish. Slightly unusual but not bad we thought; quite distinctive. Try accidentally or even purposely smudging the bodywork of this device and you’ll fail miserably, which of course is good news. The screen of course is easier to smudge, but that is what screen protectors are for! You can compare the Nokia N79 with many other phones using our Size Visualization Tool. The alphanumerical keypad is 100% flat which we found were very responsive when they were pressed which is what you want from a flat keypad. 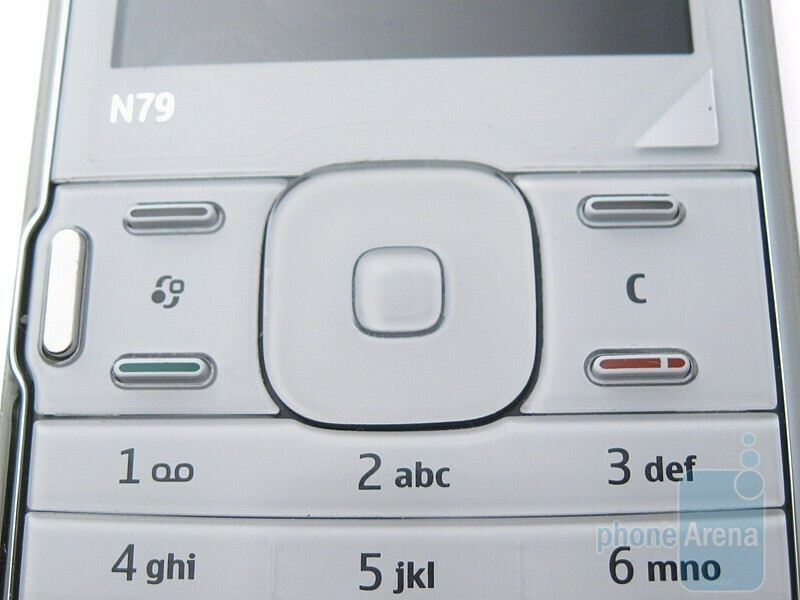 The directional key pad button located in the middle of the handset was not marked by a line or symbol like they are on some phones; no big deal though. However, we didn’t feel it would make playing platform games the best experience on this mobile which does by the way support the N-Gage games’ platform. The select button in the middle works well and produces a satisfying ‘click’ when you press it. It also has a light underneath, which blinks every few seconds to show that the handset is still on when it enters the power saving mode or to notify you of any incoming communication e.g. missed calls, messages etc. 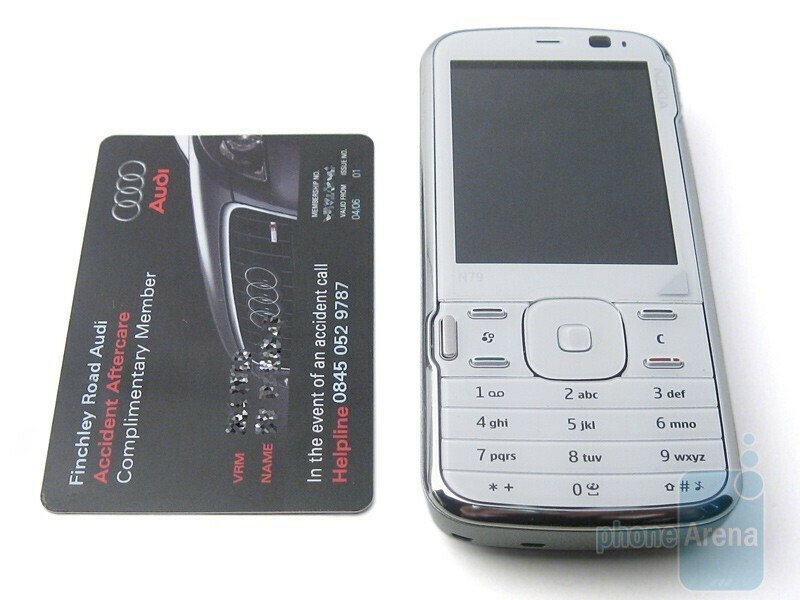 The screen on the N79 displays 240x320 pixels and measures 2.4 inches; smaller than that of an N96 for example, but equivalent to the N78 or N73. 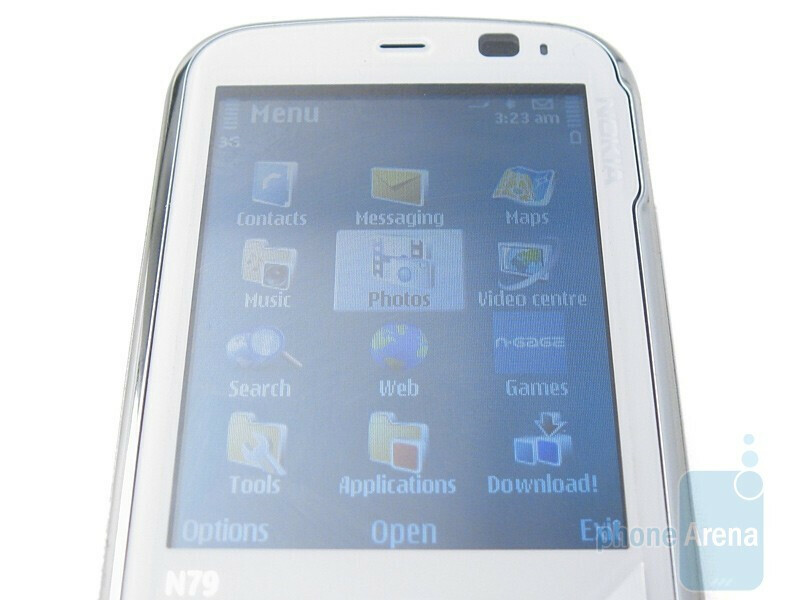 We do feel in order to truly maximize the N79’s potential, the screen could have been made bigger. There is enough room to have enlarged it, so this was a negative for us. Perhaps we have been spoiled with 2.8 inches screens we have seen in the past by Nokia which are so useful, especially for internet browsing etc. The actual display itself is good. Clear enough to see in poorly lit conditions but has enough contrast to be seen under direct sun light. It’s just the size that lets it down somewhat. The back cover has a quite impressive feature which changes theme of the phone to match the colour of the back cover that you put on the handset. This is not a big thing as most people will probably download their own theme anyway, but a small innovation I feel is worth mentioning. All in all the handset feels quite solid in your hands but is also relatively light which we believe is important for most. 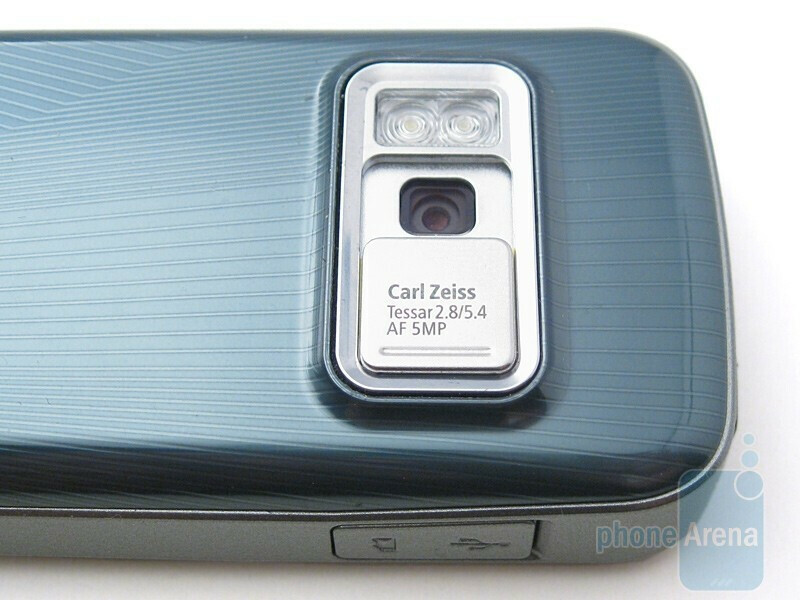 Ok, so those are the looks of the N79, so now let’s look at its personality! nice review..!! I'll get this phone soon..